I like to keep everything effortless. So, generally the first (or maybe not the first) thing I like to do is just wash my face with lukewarm water. I am not a person who uses too much makeup. 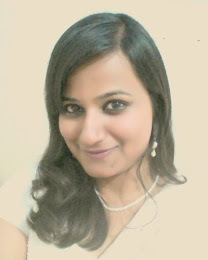 It’s just BB cream mixed with Olay moisturizer, Chambor’s Kajal and a lip balm and I’m all set to go - whether it is for office or photo-shoot or even for a party. At home – it’s sans makeup (which is kind of sad for the boy). If I do get time (read if I’m not lazy), then I’ll remove the makeup and put L’oreal’s night cream, if not - then it’s getting up looking like I have the mother of dark circles in the morning. Oiling about once in two weeks, using mild shampoo and conditioner. The only good thing I do to not harm my hair is avoiding blow-dry or straightening. Thankfully, I am blessed with curly hair. Of course - My Moroccan Hair Serum saves my hair from all the damage. I won’t step out of the house without using my ZARA’s Red Vanilla Perfume – Everlasting plus its sweet smell has kinda made it my current favourite. It definitely has ! I use Chambor’s eye-liner now - but that’s it. I don’t like experimenting with my skin - it reacts too fast to most of the products. I had acne for about a month after my wedding - all because of excessive use of makeup. Sensitive and oily skin ensures that I stay away from facials, so the only beauty thing I do once in a while is put on an anti-tan pack or a papaya pack. You will literally have to bribe me to make me go to the parlour. Chambor’s eye pencil and Juicy Chemistry’s lip balm. Island kiss berry balm – that’s it. It’s not a trick just a fact - less is always more. None. Absolutely nothing. Though Google generally has my back for this. Is it okay if I say no one? Makeup really for me is about individualism. Everyone has a unique style and trademark. Thank you so much, Saanya! 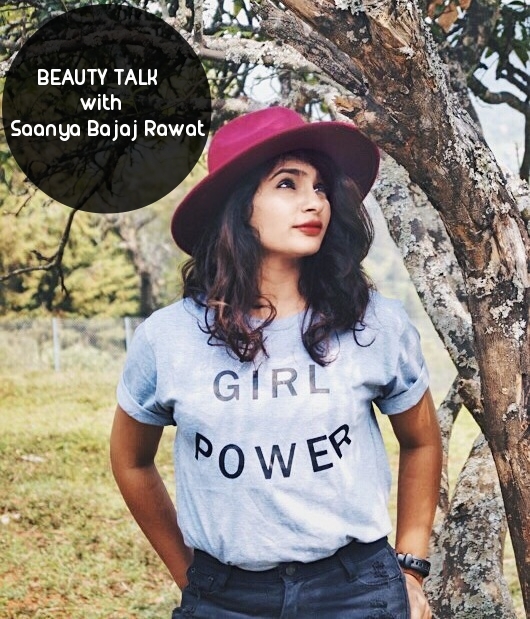 For daily peak into the life, style and travels of Saanya, you can follow her on Instagram or head over to her blog rightaway!